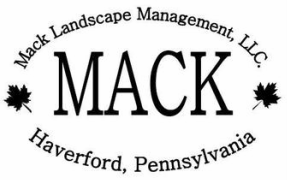 Testimonials - Mack Landscape Management, LLC. "I wanted to thank Jon and the entire Mack Landscaping team for a wonderful job on the update of the landscaping at our home. We have been at the house for about 18 years and the landscaping definitely needed a make-over. We met with Jon to discuss what we had in mind and our budget. Jon spent time with us reviewing options for the landscaping and was very accommodating to our questions, suggestions and updates to the overall layout. The crew that came to prepare and remove the old bushes and plants did a great job and worked with us to re-use a couple of items from the existing landscaping that we liked. The overall installation went very well and was done in the expected timeframe. The follow-ups with us after the installation were great, Jon came by on several occasions to check on the plants and answer any questions we had about care, watering, etc. The house looks fantastic and we have received many compliments on the new landscaping. I would highly recommend Jon and Mack Landscaping based upon our experience. We will now be using Mack for our Fall and Spring clean-ups!" "This summer we held a wedding in our backyard. We hosted the ceremony, dinner, dancing and celebration. While we have a nice yard and set-up, we wanted it to really sparkle to ensure a great background for the bride, groom and guests. The Mack Team came in and performed beyond our expectations! They went over our entire property trimming and weeding that was just fantastic. I overheard several guests saying how they could not find a single weed or plant out of place, and someone else commenting they wouldn't be able to. In addition we had a variety of plants replaced, new gardens cut-out and everything looking just perfect. It felt great! I thank Mack and Team for supporting our event and for contributing to making the wedding a joyful event. And yes while we are thankful for their contribution and effort to this special event, the truth is they perform at this level all the time for us. We greatly appreciate the help and every person we engage with on the Team is a pleasure to work with." "Over the past couple of years as our kids migrated to college, we have increasingly put our property in the hands of Mack Landscaping. Eric and the team have done a terrific job, and it has never looked better. Thank you!" "We have used the services of Mack Landscape for the past 18 months. We have been very pleased with the overall service and are very happy to recommend Eric Mack to other home owners." "Mack Landscape did excellent and efficient work in my yard!" Are you a current or previous client? Please e-mail or call us to give us your feedback!